I am truly honored be a part of Kim's "My Favorite Room" series. 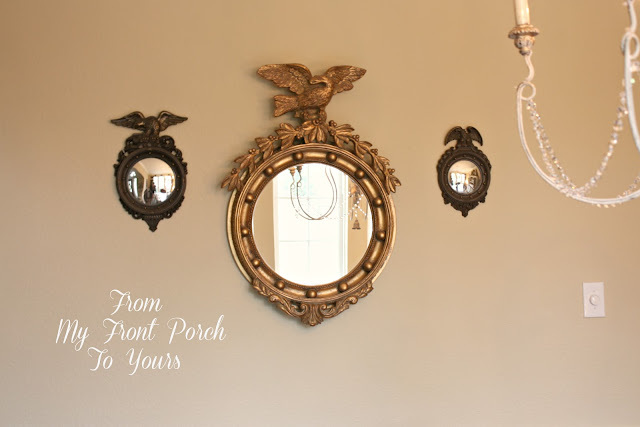 I have been a follower of Savvy Southern Style since Kim first started blogging and she has been such a great inspiration to me thru the years. In our previous homes the dining room was always the boys playroom. I was super excited when I was finally able to have an official dining room to decorate. Being a Stay At Home Mom though meant that I had to be thrifty and not afraid of some elbow work and have a lot of patience. 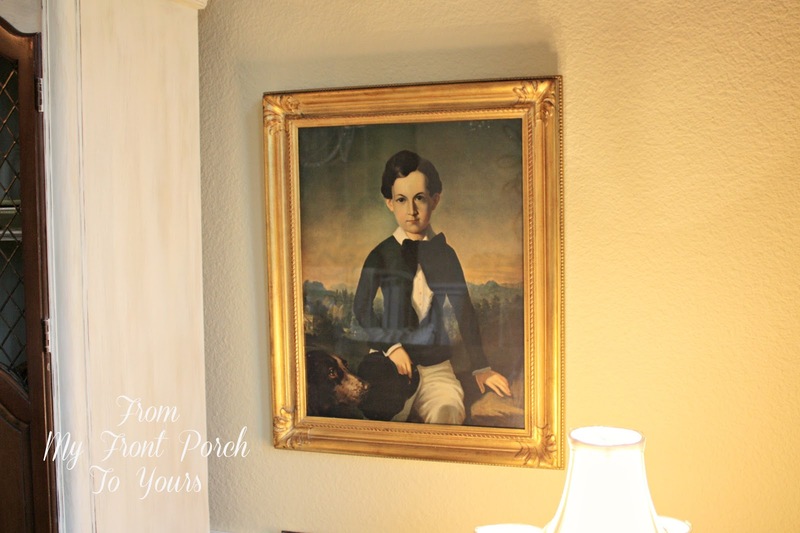 Many of the items in this space as well as in our entire home are pieces that I have found second hand and spruced up or found at an extremely good deal. This vintage print as well as its sister print I purchased off of our local yard sale site. They are two of my most favorite finds to date. 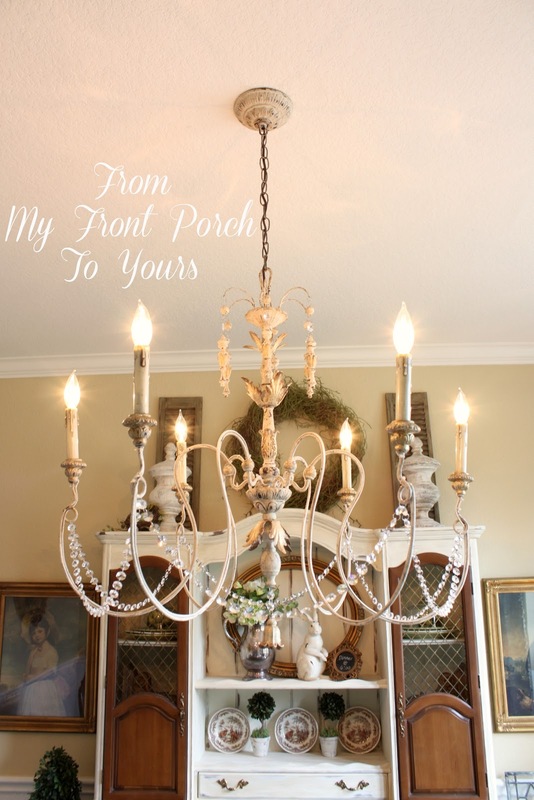 Another favorite find of mine which made me truly giddy is this french chandelier. I could not believe the lady that was selling it was basically giving it away. It came home with me for right around $40 and then I purchased some bling to add to it. A recent change to the dining room involved The Hubster and I removing our old dining room table top that was severely scratched and worn. 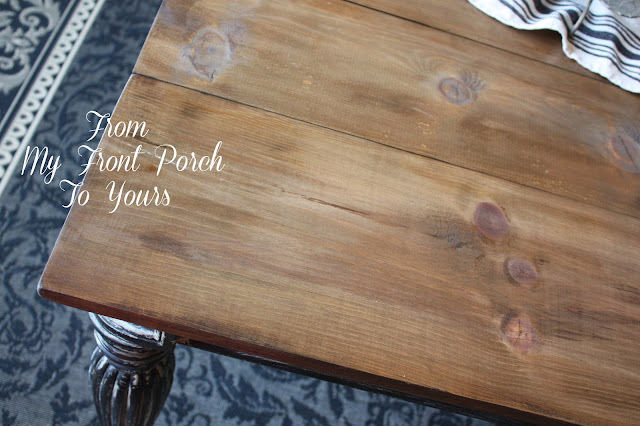 Building a rustic planked table top saved us from having to purchase a new table. A new tabletop meant that I had to borrow chairs from our office. I think they have found their permanent home in here now. Thanks so much Pamela for sharing your lovely dining room. I just adore that chandelier and I know you do. 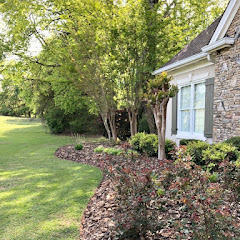 If y'all aren't familiar with Pamela's blog please go over to From My Front Porch to Yours and say hi. 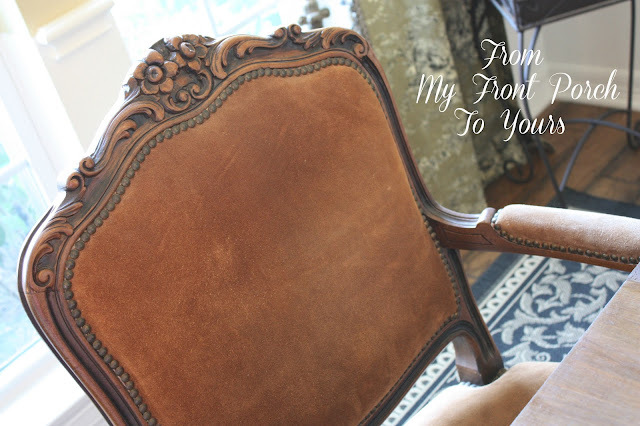 Pamela is so sweet and is a fellow furniture painter. She is working on her kitchen cabinets now and I can't wait for the full reveal. 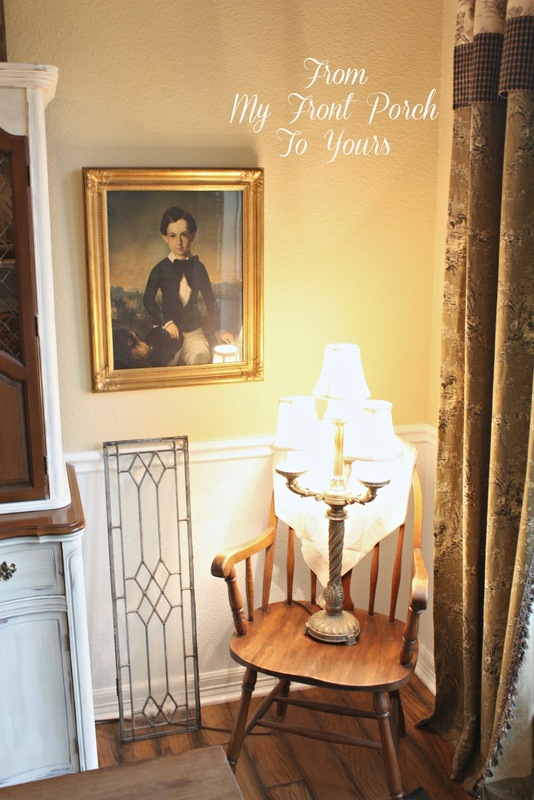 You can see all the past guest poster's favorite rooms here. Get comfy first there are some beauties. I will be attending the Highpoint furniture market in Greensboro, NC with other bloggers the next few days and have a couple posts ready and will do my best to post the top three post on Tuesday, but not promising. That will be the drive home day and then I will get the Wow party ready for that night when I get home. Have a super weekend and come back tomorrow for a giveaway! I loved this tour of Pamela's room. She is a favorite blogger of mine. Thank's Kim for featuring her. She has a really lovely home, Kim! 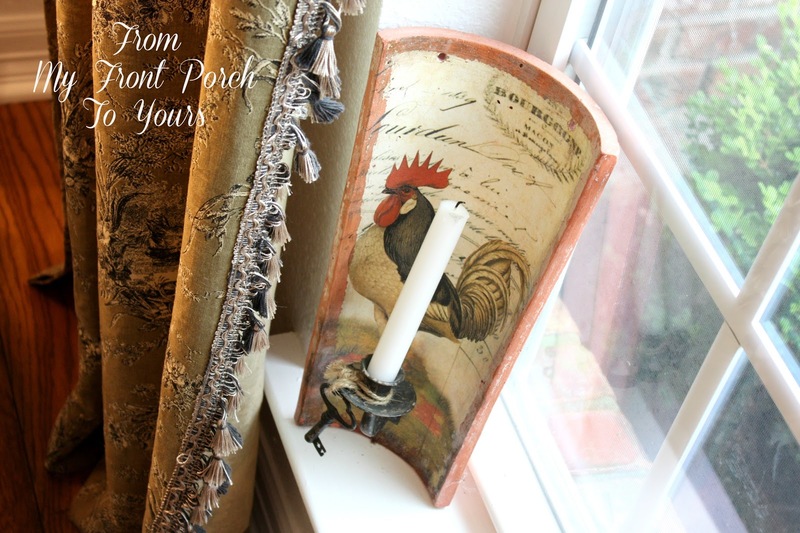 I love Pamela's home, her clever finds and her beautiful styling. Great feature! Love the chandelier and for $40..oh my...now that's a great find! I adore Pamela's dining room too. 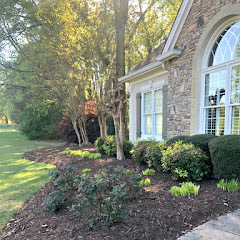 In fact, her entire home is stunning. That girl has some great decorating talents! Have fun Kim in Highpoint. 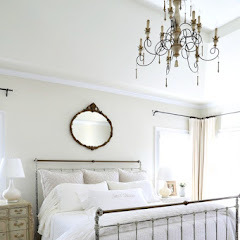 Love her blog and love her home. Great feature. Have a great weekend. Looking forward to seeing your reveal! Have a great weekend Kim. Great featureKim. Luv Pam new table. The peek at the kitchen cabinets that we got just made me long for the reveal. Luv her style. 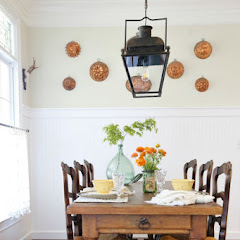 I love this post Kim, Pamela is very talented Her dining room is beautiful. I Can't wait for the kitchen reveal. Hi Kimmie! OH, Pamela's dining room is just beautiful. 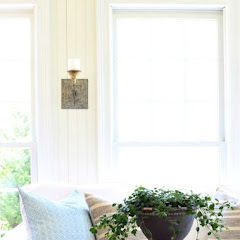 I love her blog and can't wait to see her kitchen all done up too. I love Pamela's dining room! Truly a treasure. Pamela your room is truly inspiring! 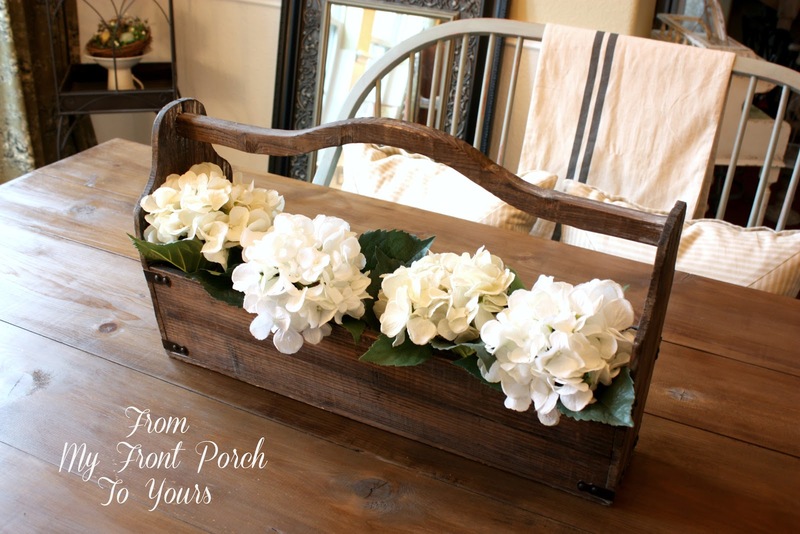 I love your DYI grit and your thrifty finds! Your sense of style and creativity take over where your pocketbook stops! 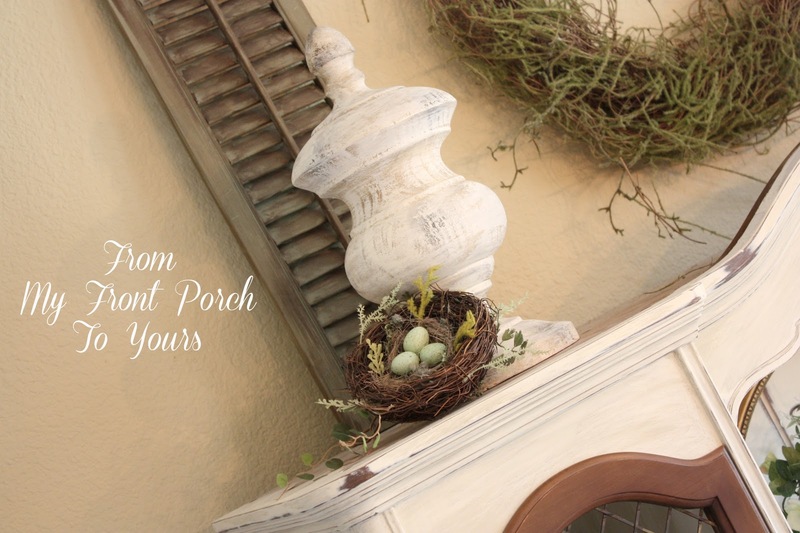 You have a welcoming way of putting everything together to make it look both upscale and so welcoming!!! What a delight! Kim, another great post in my now favorite series!!! 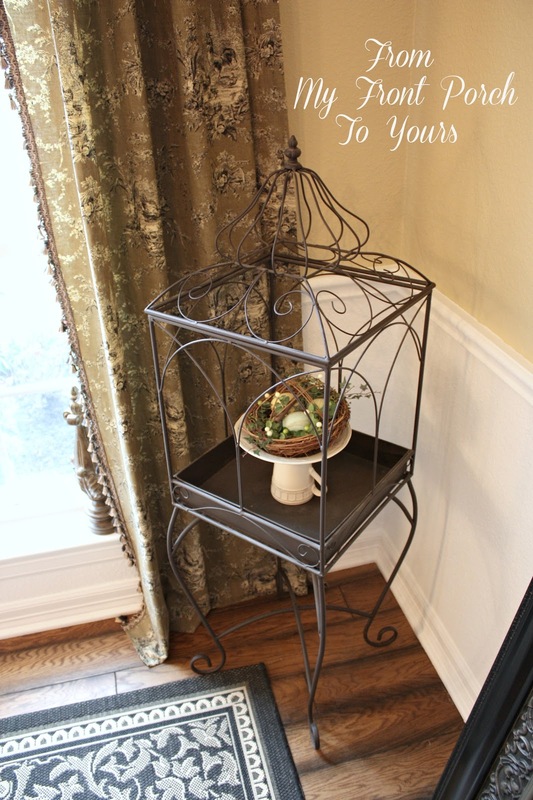 Thanks for featuring Pamela and having her share her beautiful dining room! Have fun at Highpoint Furniture Market!!! So glad you featured Pamela as part of your awesome series, Kim! Her dining room is one of my faves ... she's brought so many amazing elements together. 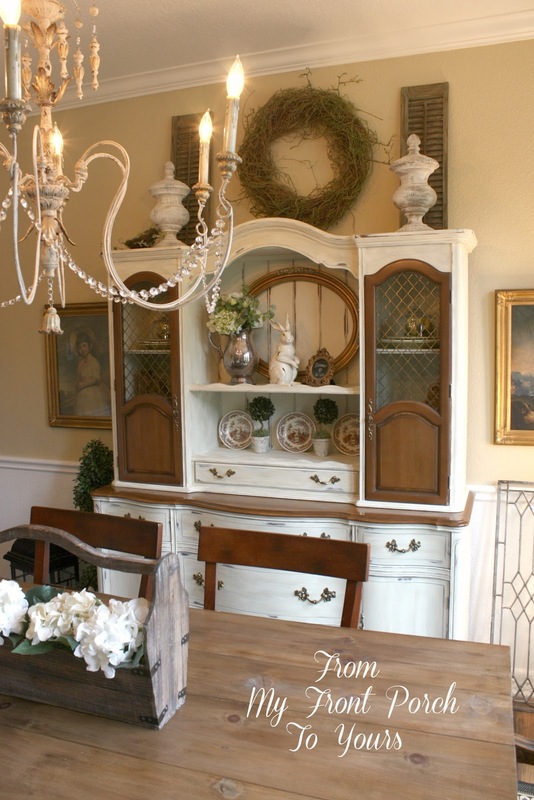 I love the way she blinged up her chandie ... her "yard sale" prints are perfect in there, and, of course, the farmhouse table that she and her husband made is fabulous! Pamela, dining room is charming. 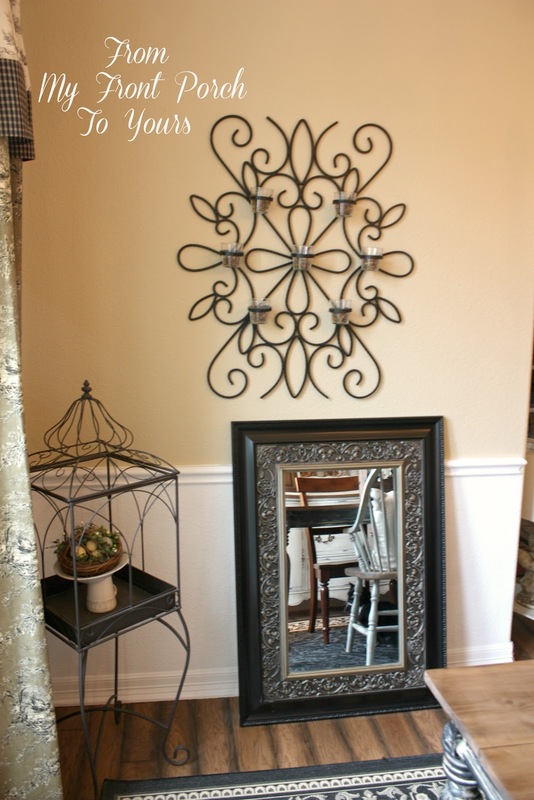 It's fun to see her great finds that make up this delightful room. Great feature, Kim! 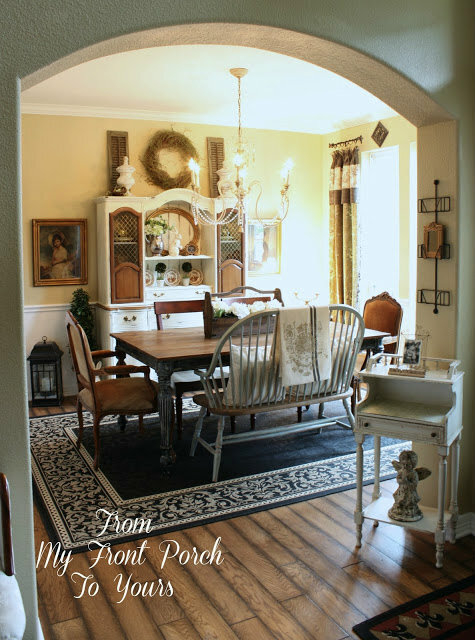 I love Pamela's home; and her dining room is one of my favorite rooms, too! 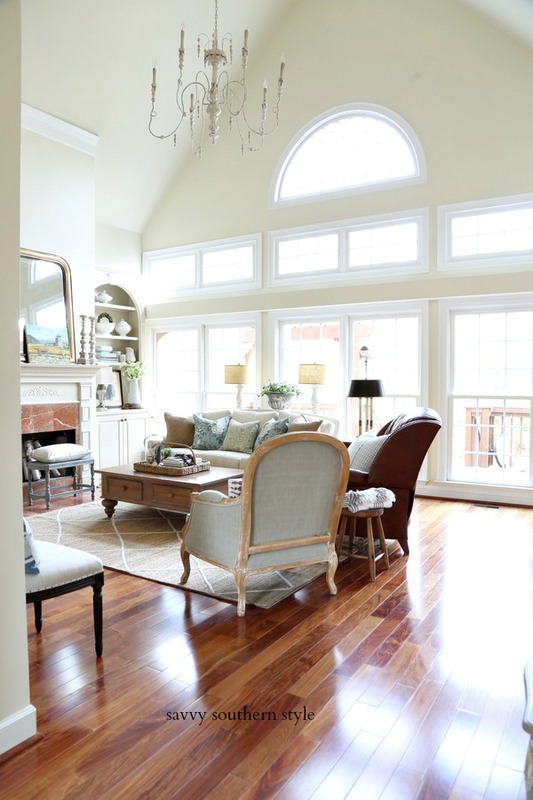 It is such a warm and inviting space. Pamela's dining room is gorgeous! Love her beautiful table,chandelier and all the beautiful details! Love her style! What a treat to see her featured! 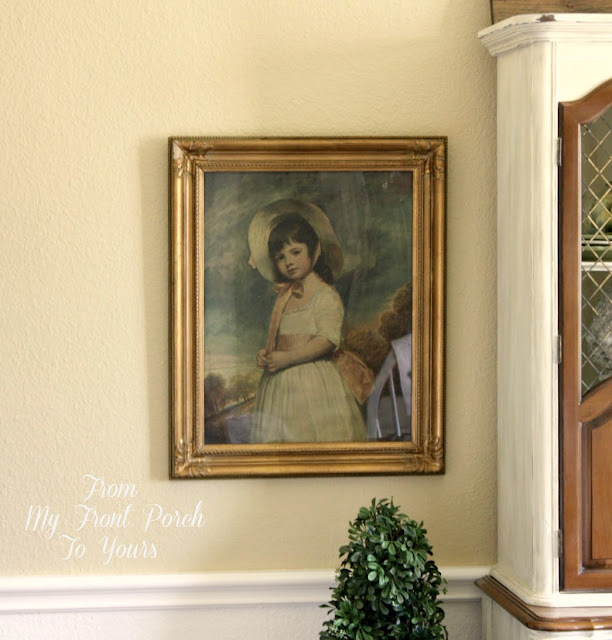 I love Pamela's style and her wonderful dining room! This is very inspiring. Every detail is precious. I just realized I have 4 leaded beveled glass panels that have been in storage. I'm getting them out tomorrow! Thank you Kim for asking me to participate in your series and thank you to everybody for their kind and sweet comments! Pamela, All your hard work in your dining room has really paid off. It's beautiful and you can be proud. 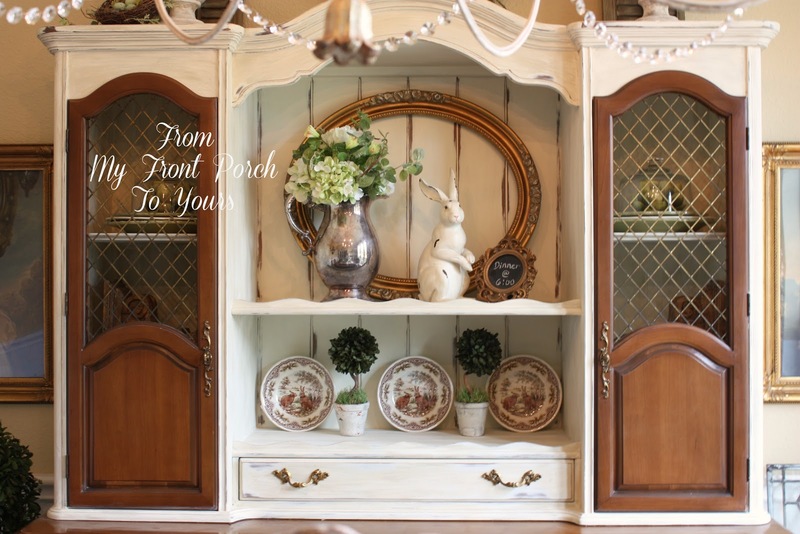 Great finds, love the way you painted your hutch, and your new tabletop is so pretty. 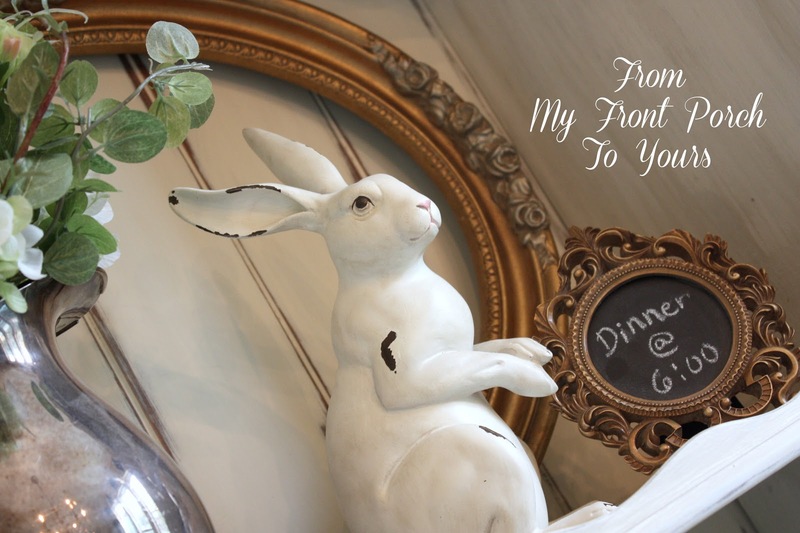 I love Pamela's blog and I so love her dining room...Pamela certainly works hard at all of her DIY projects with magnificent results...Have a great weekend Kim and Pamela! What a beautiful home and that chandelier- marvelous! What a classy dining room. I loved everything about it and that chandy you brought home for $40.00 was a real steal. Will be signing up as a follower of your site tonight. I really admire your style. Pamela's style is beautiful, and she really could be your dark haired sister because of that. Pamela already knows I love that chandelier and I love what she's done with the table by adding a plank top. Such a charming room with all her French touches. Pamela's dining room is beautiful. 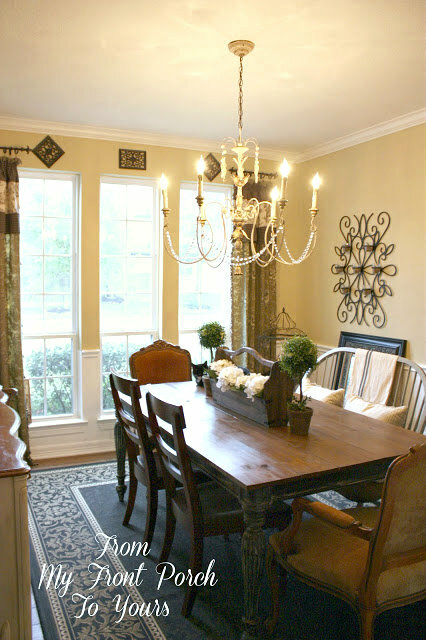 I especially love the table top and chandy.